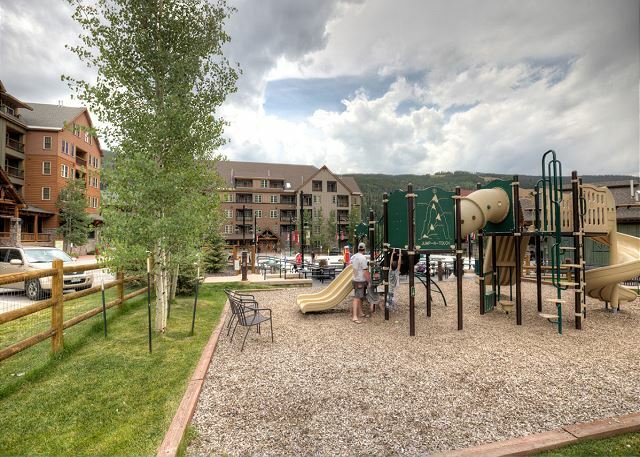 Ideally located in River Run Village so you're steps away from shopping, restaurants and festivities. 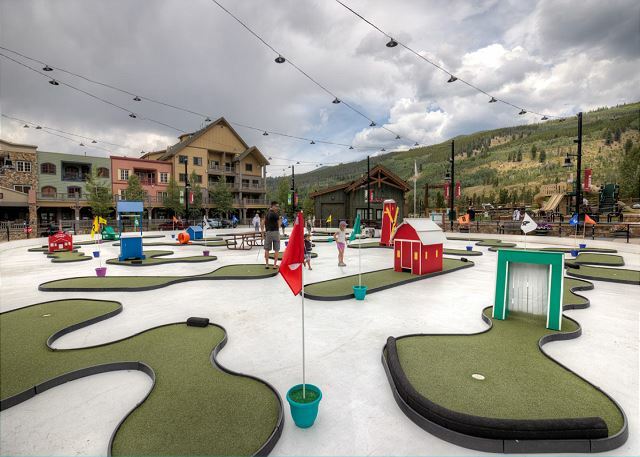 And you're just a three to four-minute walk from the high-speed gondola. 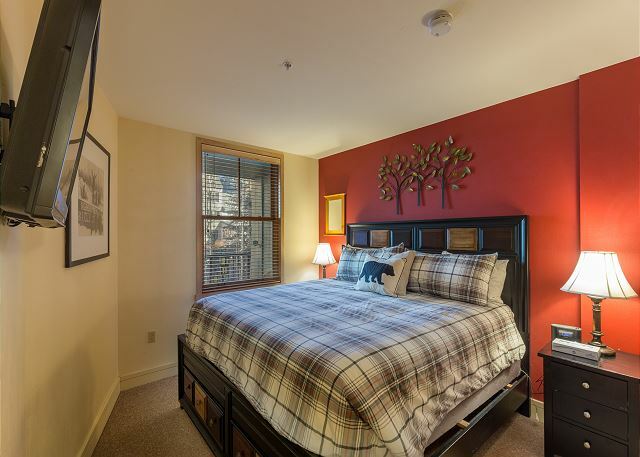 Features a king-sized bed in bedroom and a private balcony. 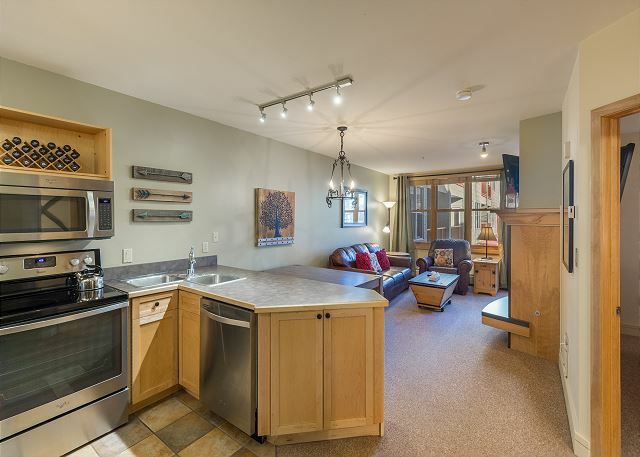 This 518 square foot 1 bedroom, 1 bathroom condo sleeps four and is in the heart of River Run Village so you're steps from restaurants, shopping and local festivities. 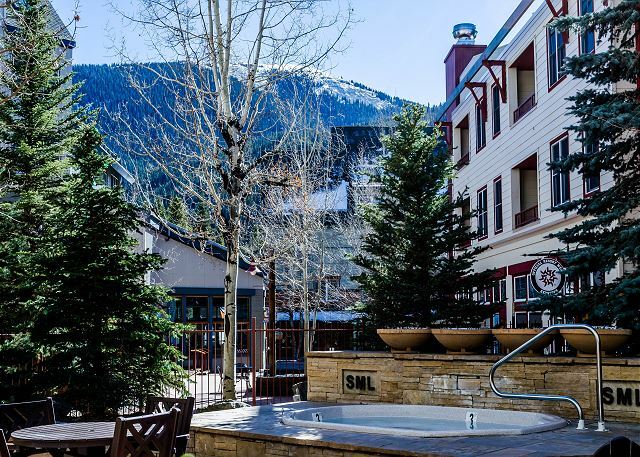 And you’re just a three to four-minute walk from the high-speed gondola. The entryway offers mounted hooks and a bench for your convenience while coming and going throughout the day. 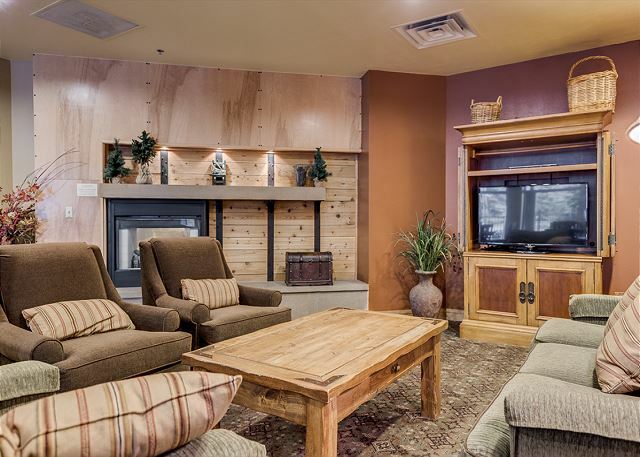 The living area features a flat screen TV next to a beautiful gas fireplace and a queen-sized sleeper sofa. Additional sheets and blankets are in a closet. 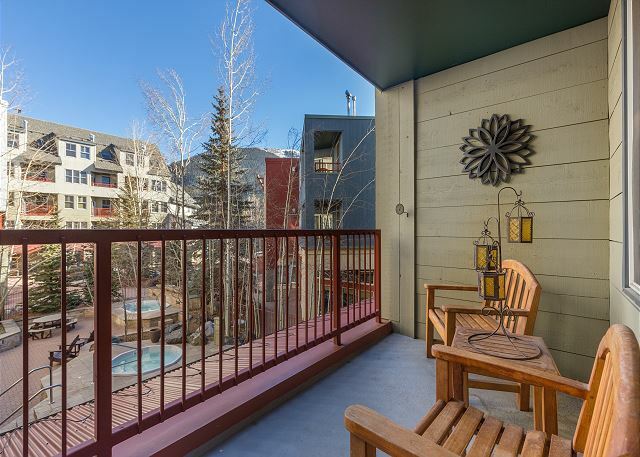 Just off the living area is the private balcony that offers views of the courtyard and shared hot tubs. 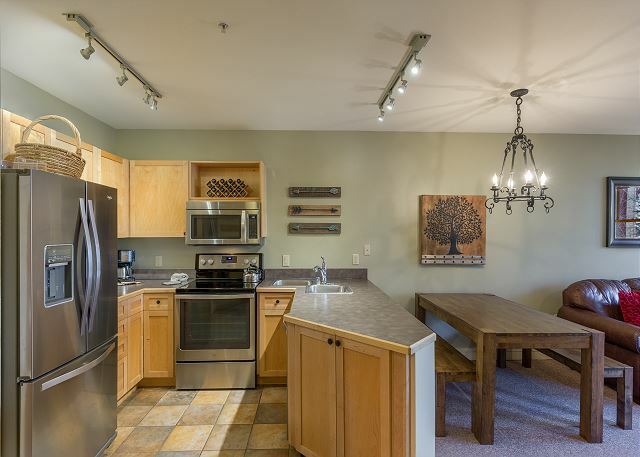 The full-sized kitchen is stocked with all the essential cookware and tableware to make a meal away from home and features stainless steel appliances. The dining area comfortably seats four. 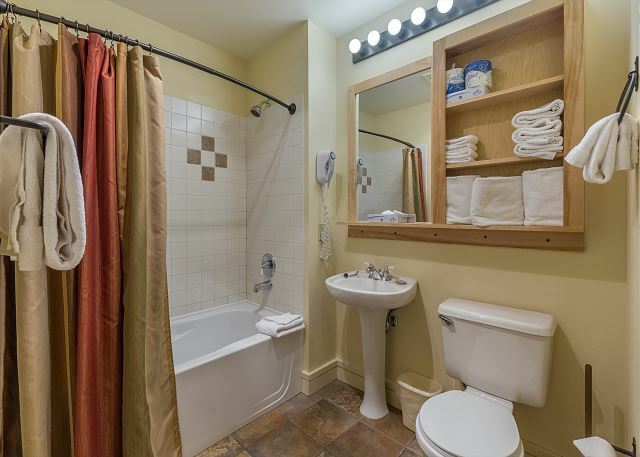 The full bathroom features a pedestal sink and a shower/tub combination. It is stocked with towels and an initial supply of toiletries. 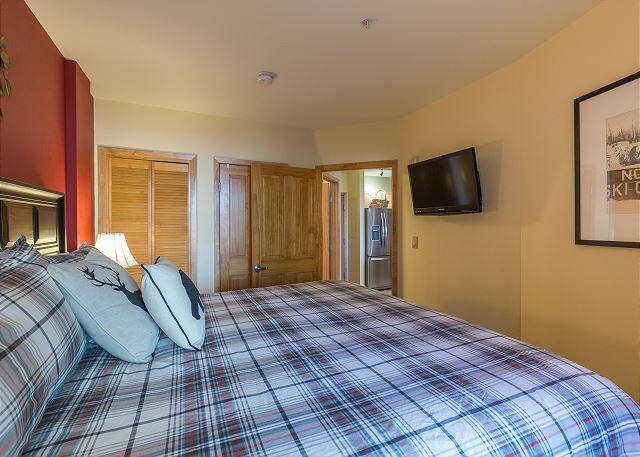 The bedroom has a king-sized bed and a mounted flat screen TV. Three of us stayed for a girls weekend and it was great! Walked everywhere- no need to drive. One thing to note--the bed is extremely high. I'm 5'4" and it was as high as my mid section! My sister and I had to use the bed frame as a step to climb up. So if anyone in your group has physical limitations, they would struggle with the height of the bed. Small thing and not a problem for us, but our Dad is physically limited so we always notice things like that. Also the pull out bed is stained and super thin. But overall, the place is great and easy access from the Village. Once again, fantastic. Third year in a row with Summit Country Retreats and another great stay. Room was awesome, everything we could have expected. Even better, the Summit folks are top notch to work with. Fantastic communication and customer service. Responded to any questions or concerns within an hour or two leading up to the trip. Highly recommended! We loved the location and communication with silver mill. The unit was very Clean offed well. Having the parking garage was a lifesaver. Our only complaints were that the quality of the appliances was a little lower than expected and it took about one week for management to clean our room hole we waited for a large deposit back. Overall we are glad we stayed. We had a wonderful stay. 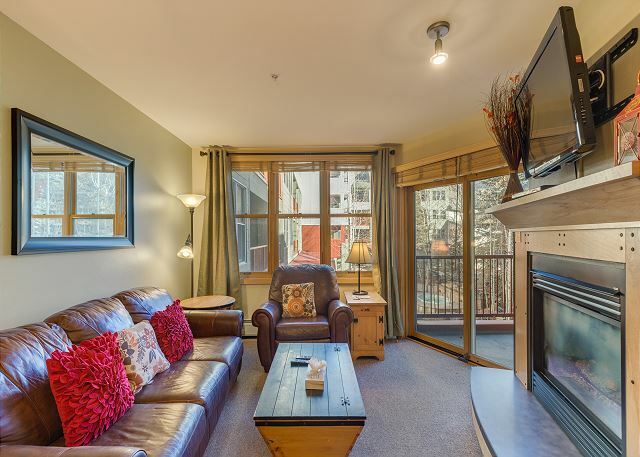 The condo was clean, comfortable and oh so cozy. 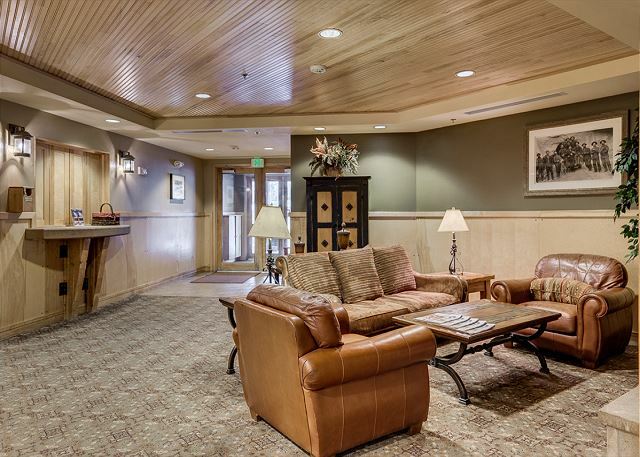 The amenities were great and the location was superb. The management company was responsive and very helpful. Great experiece, excellent location and very confortable and clean. The parking space in the basement is just Great!Just some doubts at the begining while getting the appartment Keys, but at the end, no problema at all. Lovely simple condo room. Easy to use, nothing overly fancy or to simplistic. Great place for a few day get away. 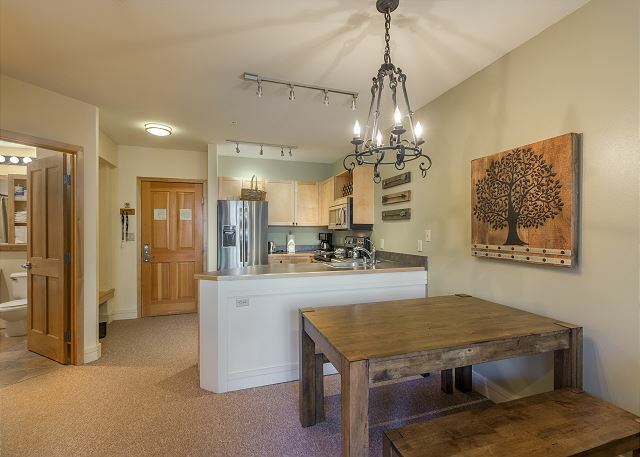 This condo is very well kept with comfortable rustic decor. 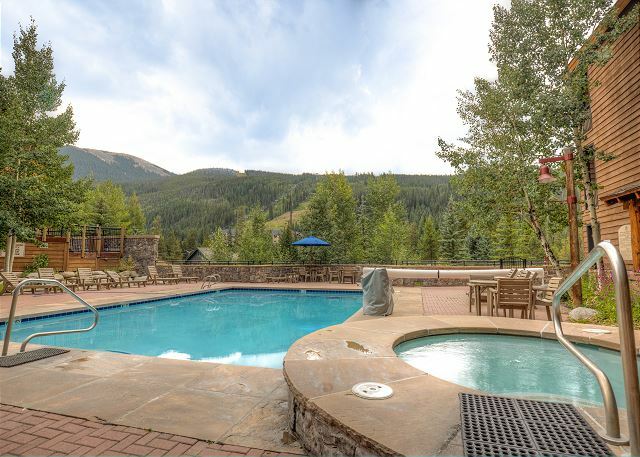 We enjoyed the mountain view from the covered patio and the hot tubs. The Gondola ride to the top of the mountain was FABULOUS and a must do! Many restaurants within walking distance and a nice grocery store in Dillion. The cookie sandwiches from Mountain Top Cookie Shop (walking distance) are amazing! Thank you for a wonderful vacation! staff was super helpful. Great location. Great stay. The rental was very clean, and nice. The couch being a hideway bed was very comfortable, more than expected. We were very happy with our stay. Was easy to check in and check out, we didn't need anything but there was always follow up asking if we did. The location was very convenient to everywhere in the village, everything was within walking distance to food, shops, and various activities. We definitely would come back. 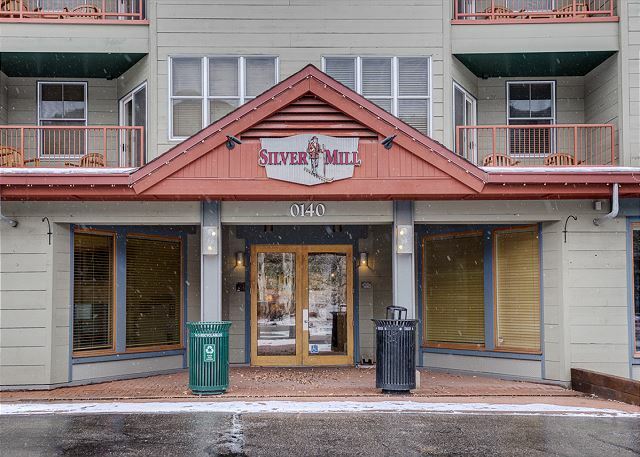 We really enjoyed our stay at Silver Mill #8153! 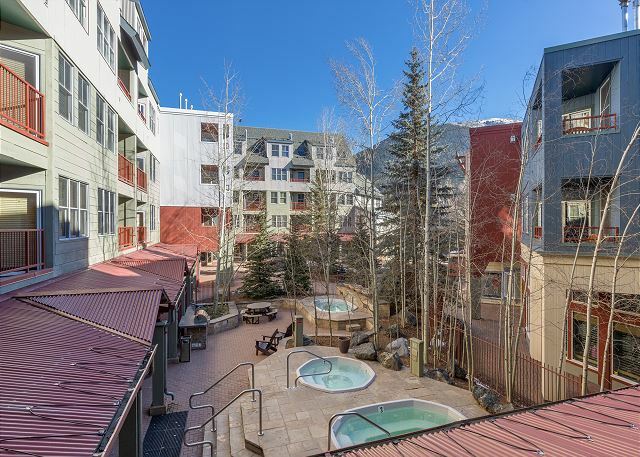 Covered parking was convenient, and hot tub RELAXING and clean! Will definitely stay here again!! The property was nice and cozy. However the cleanliness was an issue. The bathtub was dirty upon arrival and all of the dishes were dirty. Spots on the glasses, plates, and utensils. We had to wash the dishes before we could use them. Thank you for the feedback. We encourage guests to notify us of any issues so we can help get them resolved. We're glad you enjoyed your stay otherwise. This rental as wonderful! Everything was well taken care of an clean. It was the perfect space for our family of 3. Being in this area was a little loud two of the 3 nights but not too bad! Loved being able to walk everywhere! We would highly recommend this one! We had a great time. The condo was beautiful and very clean. 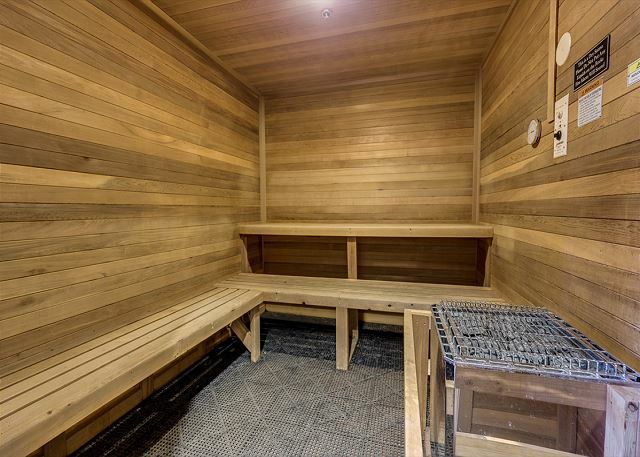 The location was great, the amenities were excellent. I would have liked to know that the shops in Keystone village were closed. 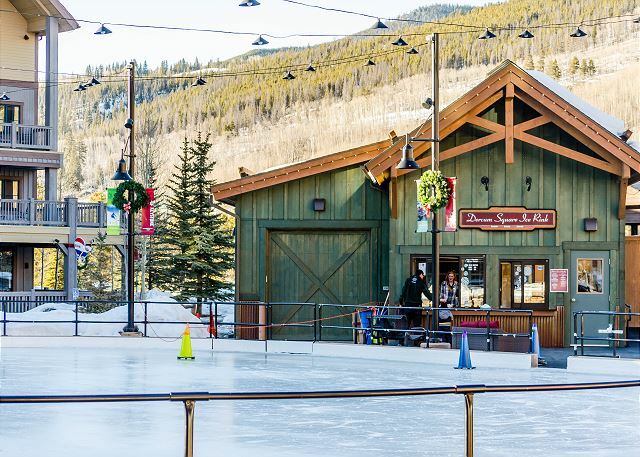 We had planned to walk around the village even though we were skiing at Arapahoe Basin, but then found that everything was closed. Other than that it was a great experience. Silver Mill - 8153 - a Keyston Winner!! The condo was exactly as described. Perfect fit for 2 adults and 2 children. 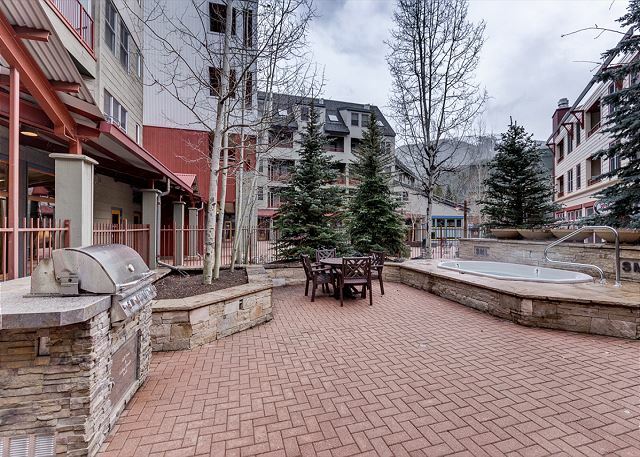 (Really any 4, as long as 2 don't mind a pull out couch or air mattress (twin provided in unit)).The River Run village is a great location to be in. 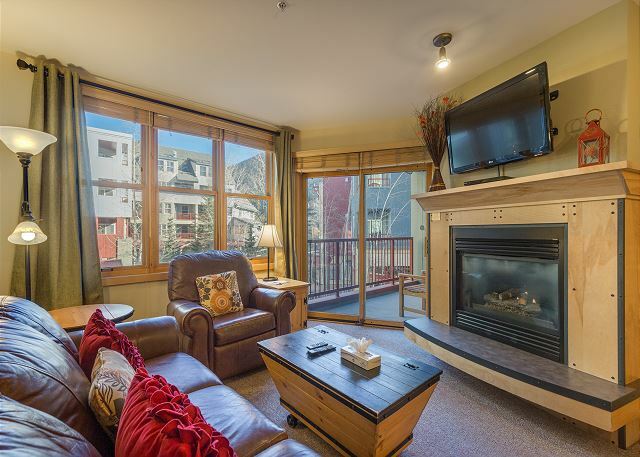 Dining, shopping, and skiing all within seconds / minutes walk from this unit.Our favorite part of this particular location was it was close to the stairs. Getting up and down was simple, and not waiting for the elevator was nice.We will look to stay here again next time 100%!! 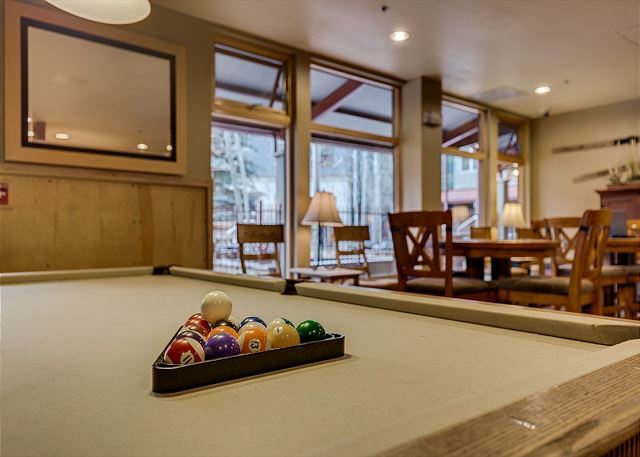 We came up for a quick weekend adventure to Keystone and staying at Silver Mill made our adventure seem like a week. Being close to the Gondola and having a parking spot helped get us on the mountain in no time. 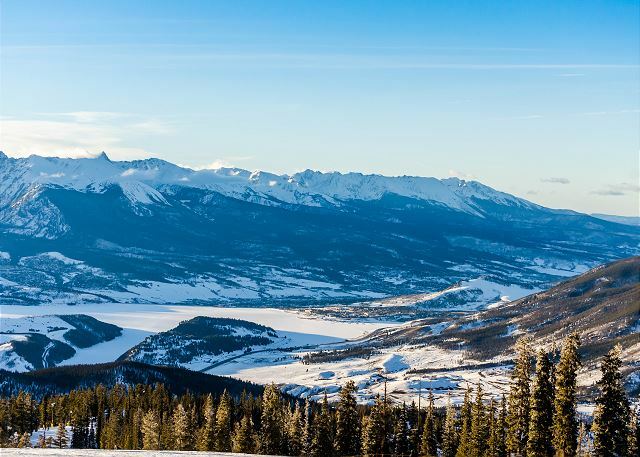 Proximity is key if you are visiting for a quick shred. Great Condo, and a fun trip. 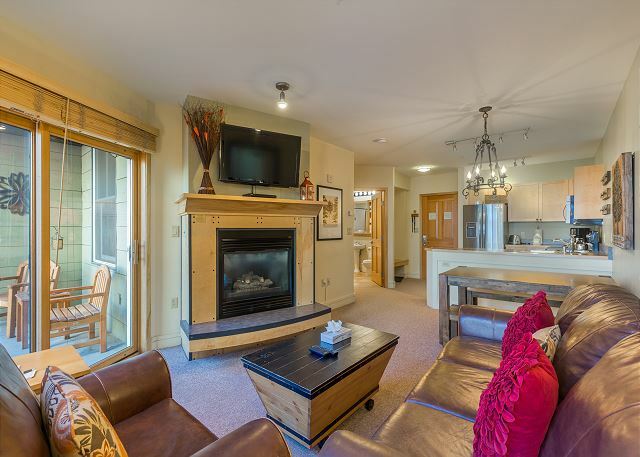 Keystone river run retreat was a great location with an easy walk to the gondola. We stayed only three days, skied three days and enjoyed all of the Riverrun restaurants. 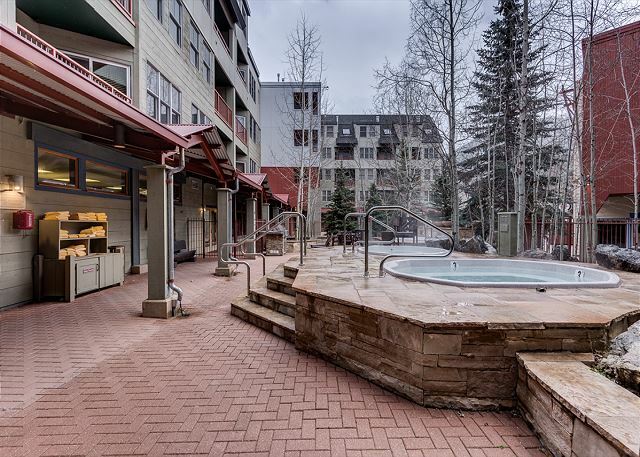 Great condo, great hot tub, great locker room and loved the underground parking. Great place, exactly as described! Right in the center of town, quick walk to the lift. The king bed was super comfortable, very cozy place. Will definitely stay here again in the future. The property was clean and in good condition as advertised. The bed is very comfortable. The location is great. 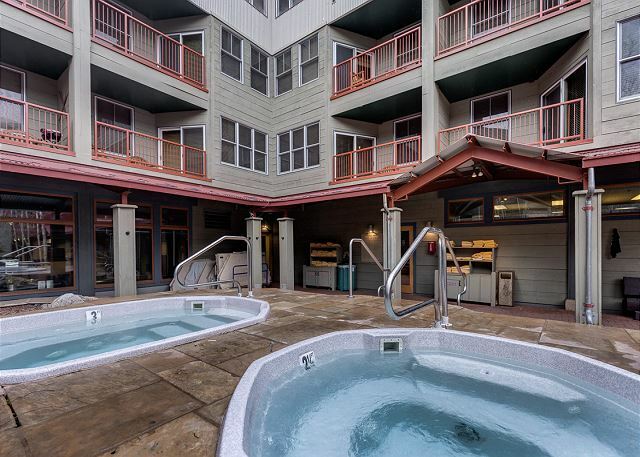 One perk of this unit is that it overlooks the hot tubs, so you can take a look and see if they're full or not. Check in and check out was easy. We would definitely stay here again in the future.